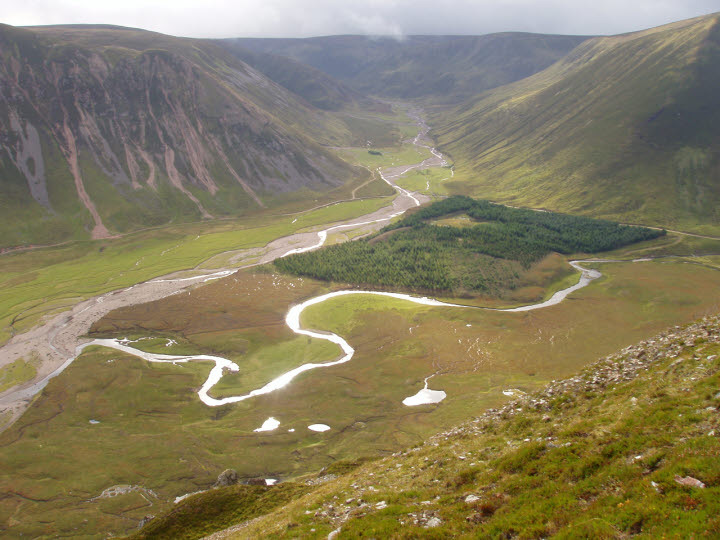 Scotland offers untouched nature and vast people empty landscapes which offers the best habitats for wildlife such as red stag, sika deer or roe deer. 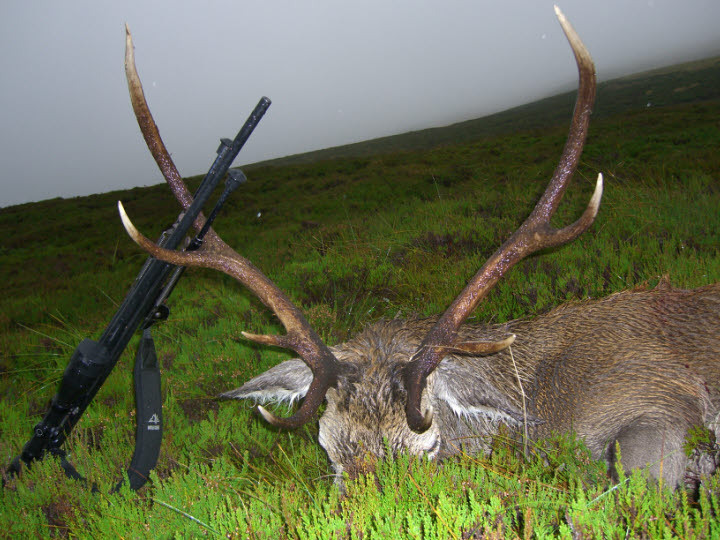 Due to the harsh living conditions in the Highlands, the trophy strengths of the red deer are lower than ours, but the sporting aspect is what counts when hunting in Scotland. 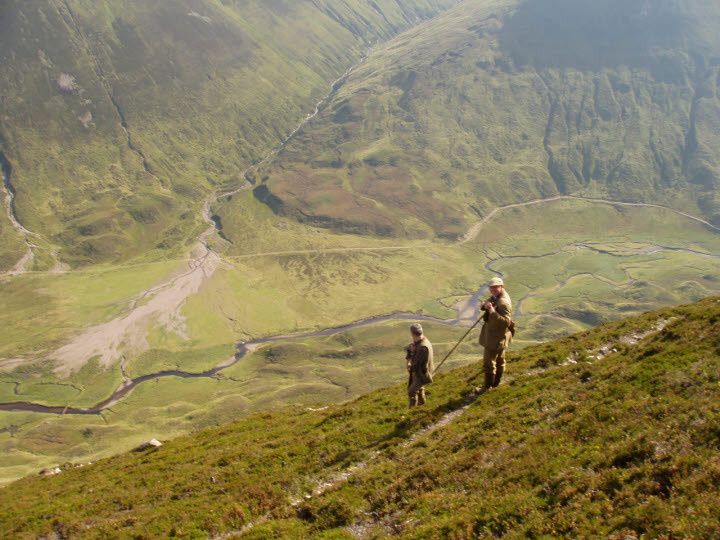 A red deer hunt in the Scottish Highlands is both challenging and memorable. This will be a lasting experience for your hunting life. The hunt takes place on various estates around Kingussie and the areas can usually be reached within a 20-30 minute drive. 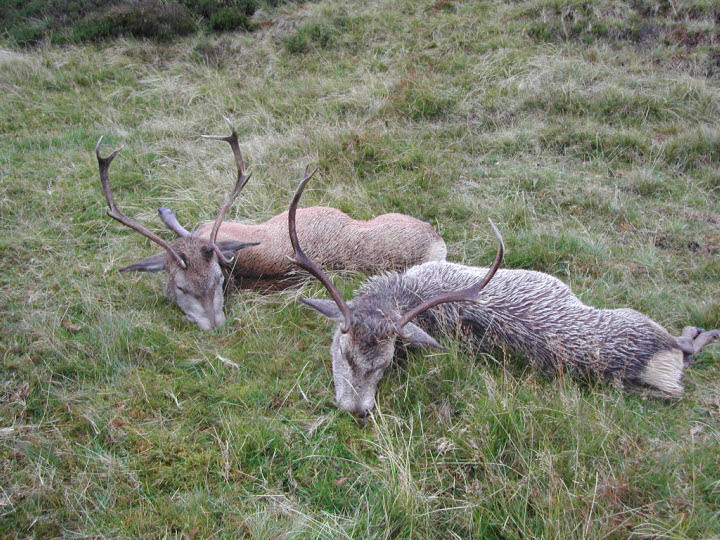 The entire deer is completely free and is located in open moorland, in mountainous terrain and in the Highlands. The challenge is to stalk the different types of terrain and get closer to their desired target to shot. In particular, the connection between the hunter and the stalker play a major role in the hunting success. A typical hunting day is as follows: Upon arrival at the estate, you meet your stalker, usually around 9:00. Subsequently, the obligatory test shot is done to see that the gun shoots accordingly accurate. Target distance is typically 100m as it is also standard in Germany. During the hunt you are accompanied by an experienced stalker throughout the whole hunt. The stalker knows where the game is in accordance with the prevailing conditions such as wind, time,… . As the game comes into sight, usually packs of 10-100 pieces of red deer, the stalker will make out a stag that he thinks is suitable for shooting. In this case, you and the stalker will start the final stalking step, which usually involves crawling on the ground to not be detected by the stag. As soon as you have come in a corresponding shooting distance, the hunting guide will describe the deer to you and, as the target is suitable, the shot can be applied. 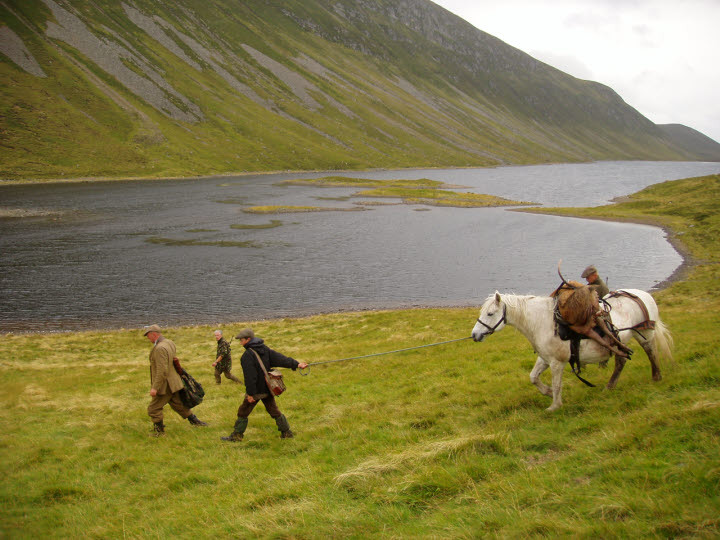 After a successful shot, the hunted deer is either collected with a four-wheel drive vehicle or a highland pony. 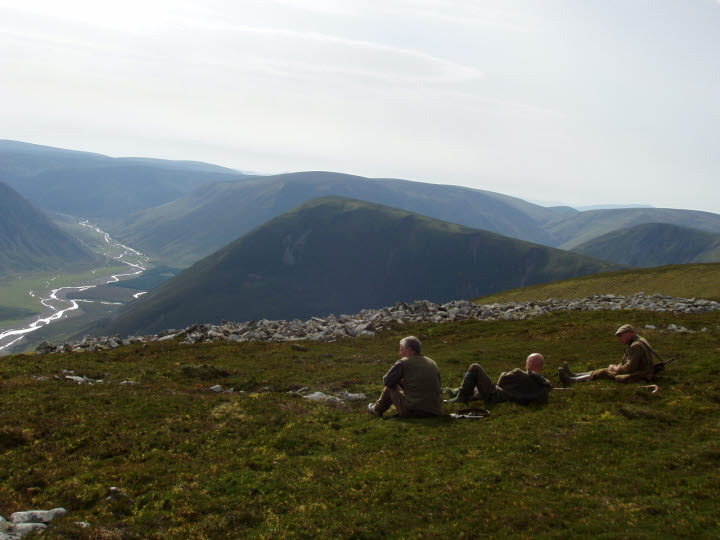 If you prefer to hunt without a guide, we can offer hunting on your own. In this hunt, which should be carried out as a group of 2-3 hunters, they are housed in a self-catering cottage and assigned to a hunting area where they are allowed to hunt for deer. The stalking would take place early in the morning and in the late afternoon / evening. 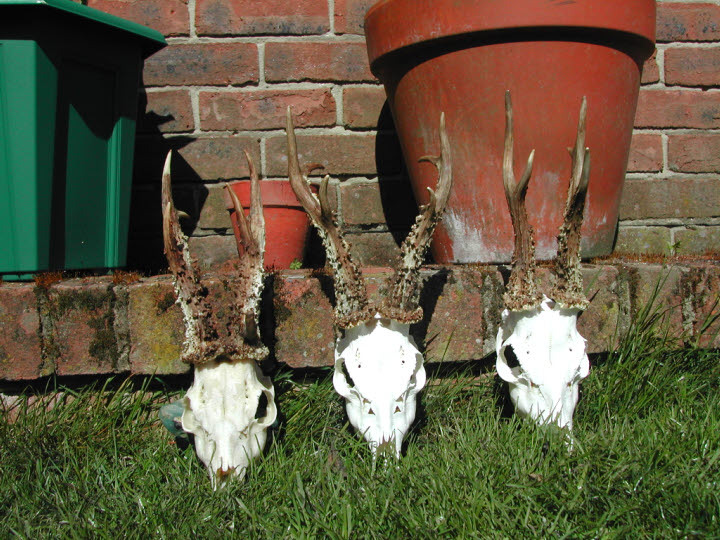 Roebuck hunting can be offered in the form of day stalks or in combinations with other packages. There is a great deal of roe deer in the forests in the deep plains. 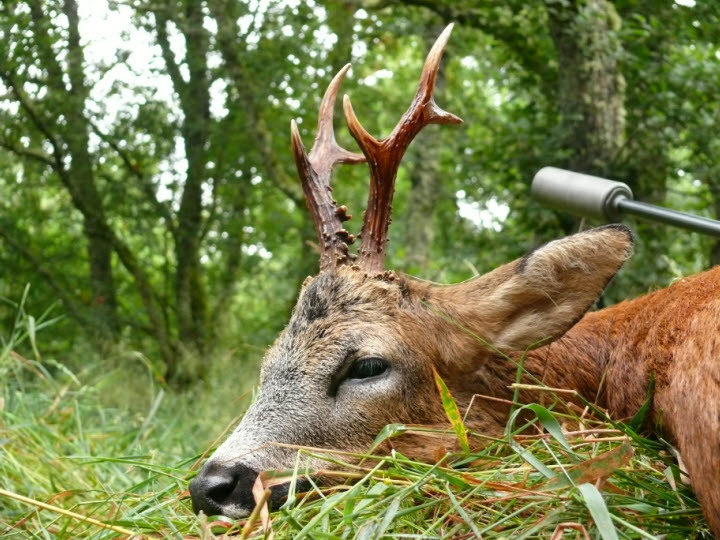 Our partner can offer small game hunts on different game species. The packages usually include hunting with dogs on a patrol of 4-8 shooters. In the small game hunting they have opportunities to hunt pheasant, rabbit, snipe and woodcock. Snipe hunt is offered with an expected range of 4-6 pieces per day. Geese Mornings and evenings can be organized. Patrolling on rabbits or ferreting is also very popular in Scotland. 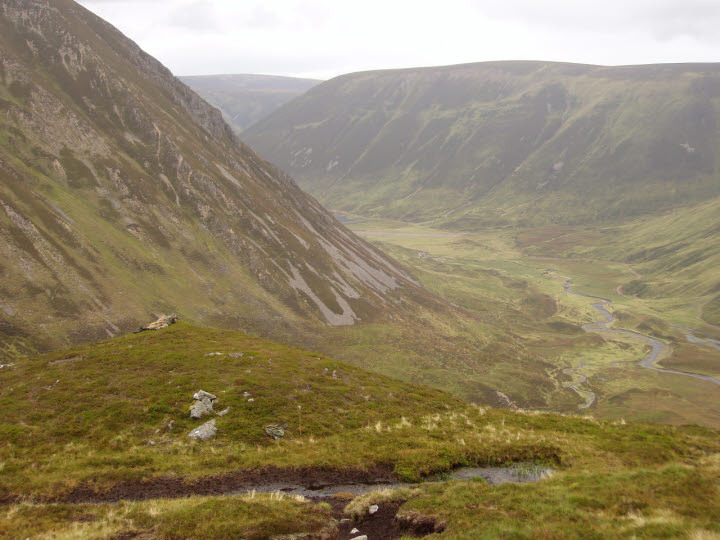 The highland areas and mountains in Scotland are the habitat of the mountain hare / snow hare. These are very fast and unpredictable. In winter, her coat turns white as a camouflage against enemies. In the hunt the shooters are brought up on the hills and the hares are driven later. Accommodation is usually in a Bed & Breakfast, but it is also possible to go to a rural hotel category or self-catering. Scotland has a moderate climate with temperatures of 0-5 degrees in January and 9-18 degrees in July. Scotland is characterized by a very humid weather which is reflected in 20-28 rainy days per month. For hunting, you should therefore pay attention to good clothing with rain cover like Goretex / Deertex, …. European citizens need a valid identity card or passport for entry, outside EU please check your embassies most countries will require a Shengen VISA. The import of weapons to the UK is possible but must be registered in advance and requires a European firearms passport as well as the British weapon import permit. The latter is organized by our Scottish partner. In order to be able to apply for the weapon permit, we need your EU firearms pass as original document (Or color copy of all pages) as well as a copy of the valid passport about 7 weeks before the trip. Please pay attention to readable copies as they are otherwise not recognized by the authority. The permit will be sent along with the travel documents. It is also possible to lend a local weapon from our partner, which he charges at £ 25 per day. If you have any questions or are interested in an offer to hunt and hunt in Scotland, please contact us via email or contact form.